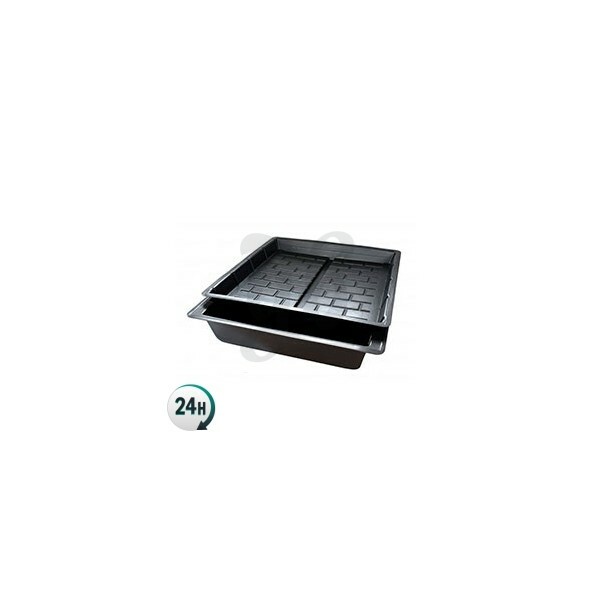 EBB & FLOOD flood table is a hydroponic system that will give you full control over the roots of your plants, allowing you to change watering cycles and thus, plant nutrition at will. EBB&FLOOD table is the hydroponic system that gives the best control over the radicular area. It allows the grower to adapt irrigation cycles (and thus, nutrition). With the Ebb&Flood system the growing medium is flooded periodically. During this process, any residue from the previous flood will be redissolved into the nutrient solution so that the part of nutrient solution that remains after draining (ebb), doesn't precipitate or gets over-concentrated. The basic model of "Ebb&Flood" works with a segment timer equipped with a simple assembly and disassembly system. Nutriculture Ebb&Flood lets you control every aspect of your crops. You can grow in any medium, with or without pots, and adjust the frequency and duration of irrigation to get optimum yields. Better water and nutrient uptake than with manual irrigation. The radicular area is fully oxygenated a few times a day. The draining area in the roots means that neither nutrients nor water accumulate. Recommended grow tent: 120 x 120cm. 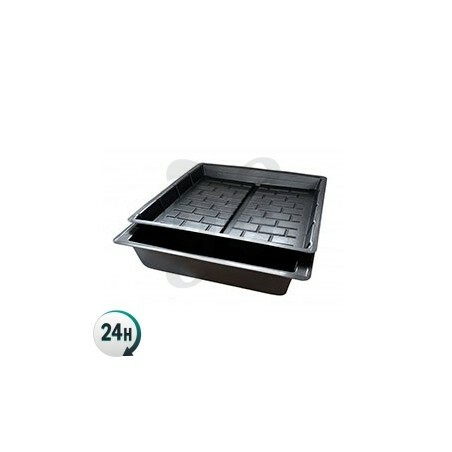 Dimensions of the grow tray: 1200x1090x350mm.